Happy National Doughnut Day! The first Friday in June was coined National Doughnut Day in 1938 as a way to recognize the efforts of Salvation Army volunteers who served doughnuts, coffee, and other refreshments to soldiers on the front lines during World Wars I and II. Today, Salvation Army still honors the day and center many fundraisers around the event. Being the celebratory gal that I am, you know I’m going to enjoy a doughnut or two today- the fact that I love doughnuts may also play a factor in this decision. Honestly, I couldn’t say no to a doughnut if I tried. I don’t know what that says about my self-control, but even if there were, let’s say, a leftover doughnut from the weekend still in the bakery box and Monday (or even Tuesday) morning rolled around, there would be no hesitation before inhaling it with a cup of coffee. 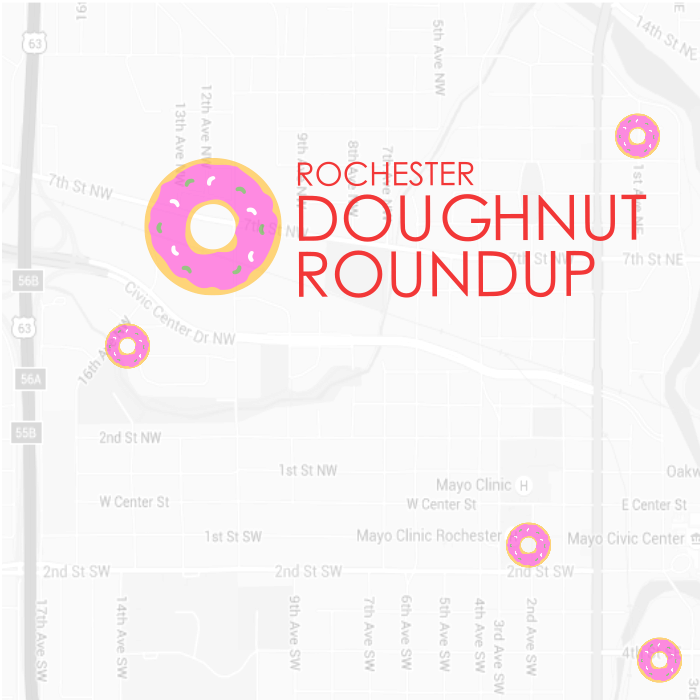 I’ve rounded up my favorite spots in Rochester to grab a doughnut. 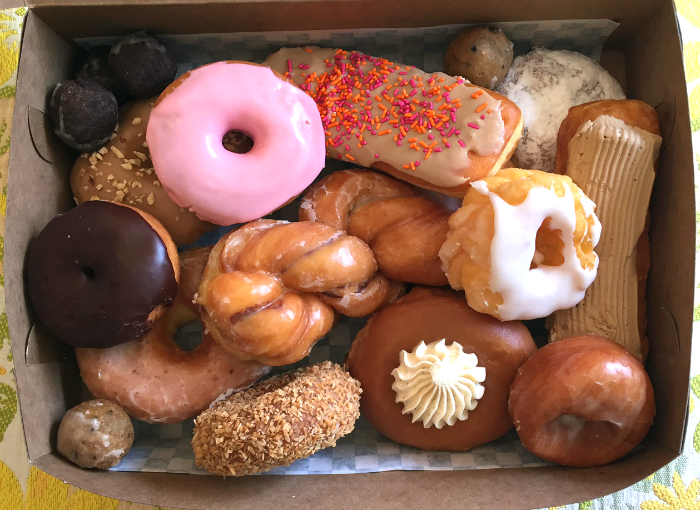 While the quantity of bakeries featuring doughnuts in is limited, the quality of doughnuts at these spots is enough to satisfy any sweet tooth. 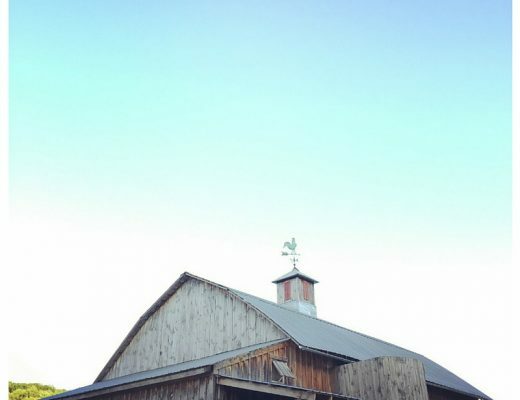 Perhaps best known for their immaculately decorated and delicious cakes and pastries, it’s no surprise their doughnuts are also a fan favorite. Weekends boast long lines for this ultimate weekend treat. Their selection is the largest and frosting unbeatable. They also take mini doughnuts to a whole new level with mini long johns and mini filled paczki. Must tries are the cinnamon twists, maple long johns (with or without a slice of bacon on top), and the caramel glazed doughnuts. 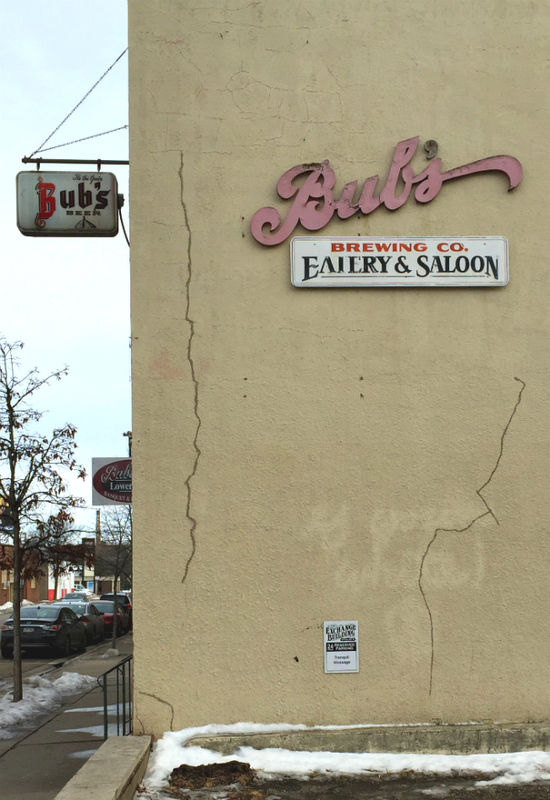 The smell of rising bread and frying dough is noticeable from literally a block away. 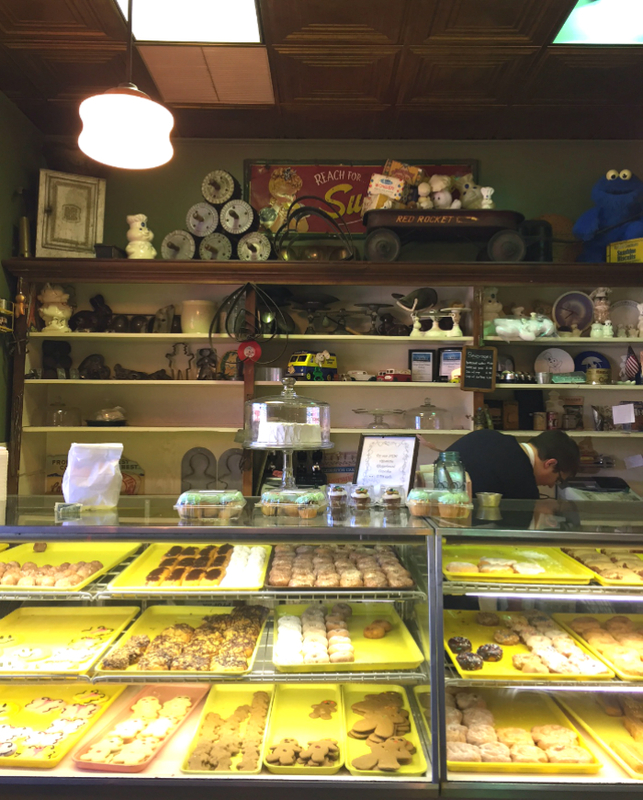 Decorated in vintage cookie cutters and other baking-related knick knacks, the Gingerbread House Bakery is a cozy, friendly spot to grab doughnuts on a slow morning. Their glazed doughnuts are melt-worthy without being overly greasy. Be sure to also take a look at their fresh breads and cookies! 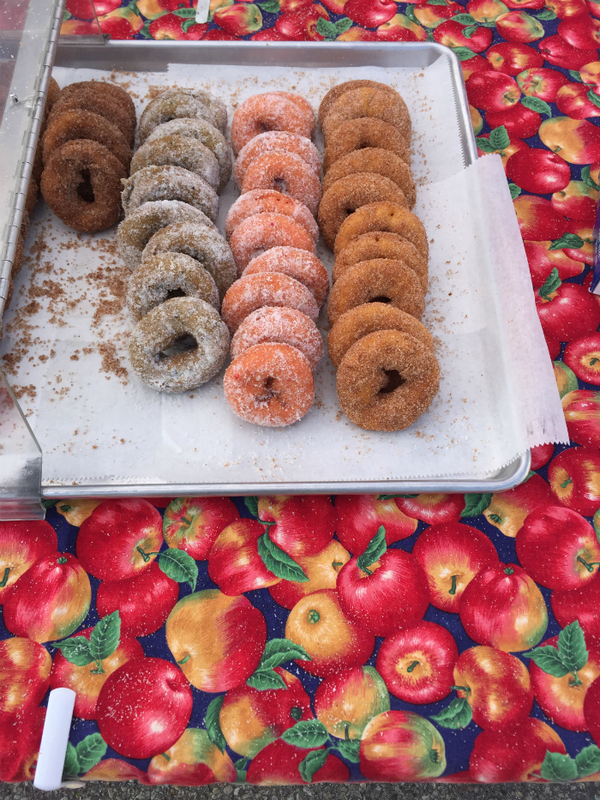 Yes, you’ll have to wait until Saturday morning to enjoy this option, but these baked doughnuts from Northwoods Orchard are too good not to include. 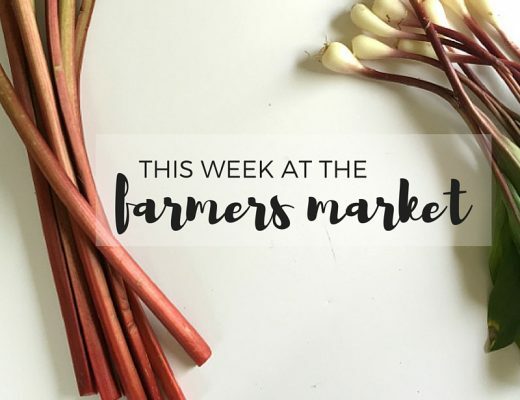 Coated in the perfect amount of sugar with a variety of flavors like blueberry and apple and oh-so-soft, make sure to visit their Downtown Farmers Market stall located closest to the West entrance of the market. 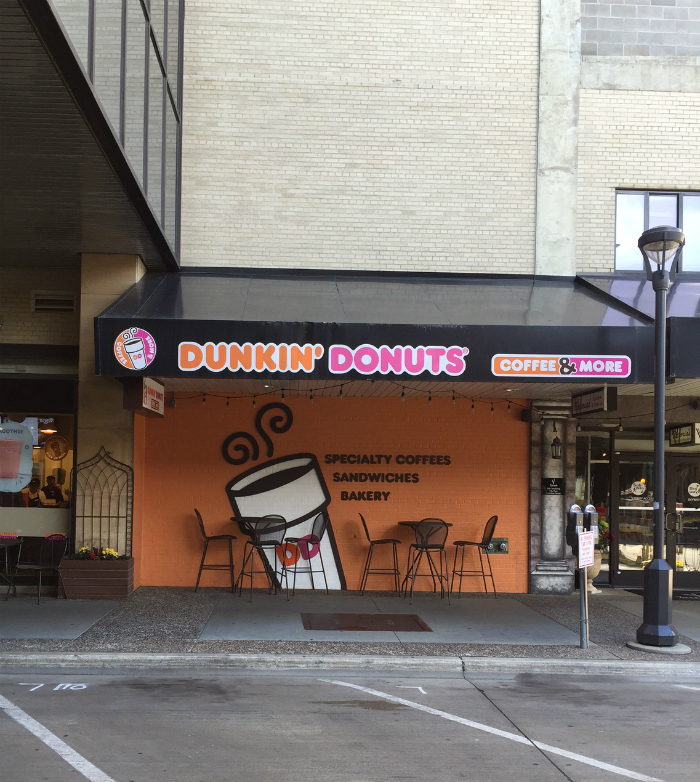 Convenient for the downtown dwellers, Dunkin’ Donuts has a cheery spot right on 1st Ave. Offering a strawberry glaze and a toasted coconut covered flavor, they have a few different varieties not readily available at most bakeries. I also mention this spot as tomorrow, June 3, in celebration of National Doughnut Day, head to Dunkin’ Donuts for a free classic doughnut with any beverage purchase! 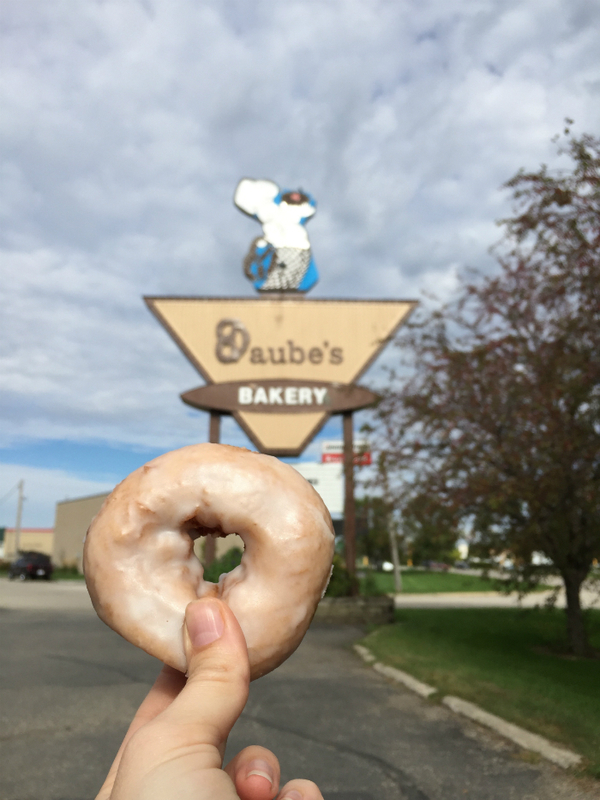 Because the love for doughnuts doesn’t stop at the city borders, other favorites worth mentioning around Minnesota are: Glam Doll Donuts in Minneapolis, Bloedow’s Bakery in Winona, and Hanisch Bakery in Red Wing. 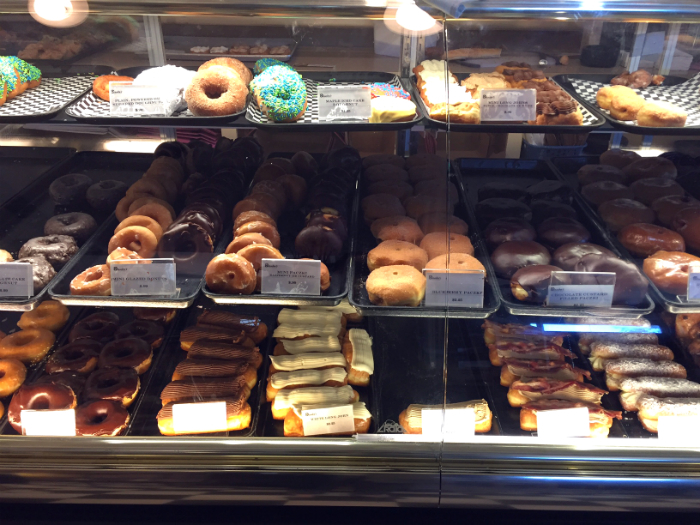 Where do you stop for your doughnut fix?